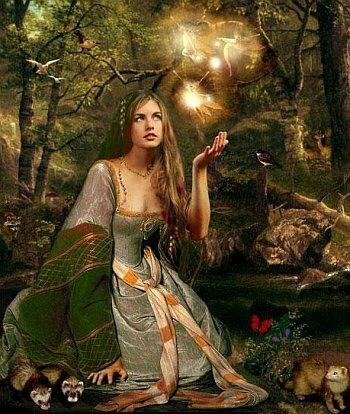 Airmid was one of the members of Tuatha Dé Danann, the most ancient race of deities in Ireland and just as they did, she had great magical powers and was said to be one of the wisest Goddess. She is daughter of Dian Cecht, the God of Medicine, and the Chief Physician and Magician of the Tuatha De Danaan. It is believed that Airmid still works as a Physician, high in the mountains of Ireland, spending much of her time healing Faeries, Elves and humans; bringing them all back to good health through her practical knowledge and amazing magical skills.